C1. I chose the image because my quote was for diversity. And friends of different ethnicity and culture are the best way to show good diversity. 2. I left contrast alone since my photograph is the backround and I want it to stand out.My font color was black before but you couldn't see it, so I changed it to a much lighter color so that it would also stand out. The font I chose was just a regular font size all I did was make it bigger. I made my color a violet type of purple because I thought it was really pretty and it would stand out like my picture. ​3.My quote is about Diversity and how it doesn't matter what color somebody's skin color is. We are all people just with unique culture and features. I USED POSITIVE SPACE SPACE BECAUSE ITWOULD HAVE BEEN TO FLIMSY AND IT WOULD ONLY PRINT PIECES OF THE NOT. I MADE IT THICKER SO IT WOULD GET THE WHOLE SHAPE AND NOT JUST PIECES. The instrument was a cardboard box that we transformed into a cool piano. We made it by cutting the front half of the box and cutting off the flaps of the box. Then we measured how long the tape should be for it. Instead of using regular tape I took copper tape because it was better use for the project. 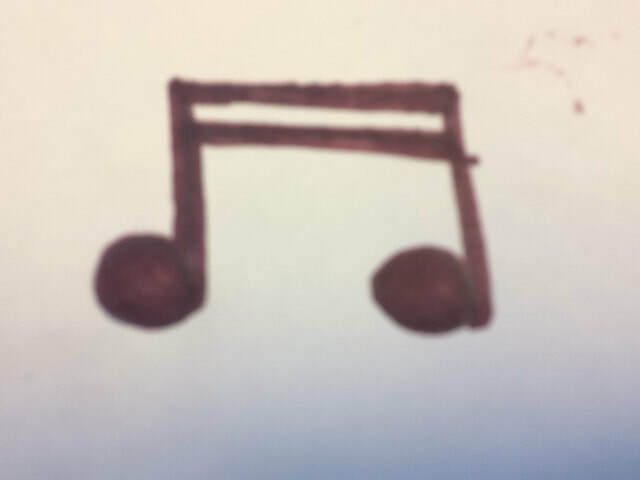 we did the old one on paper but thought that it was to boring and plain. So we decided to make it with the box,copper tape,spray paint and paint. Wespray painted the box outside with help from Franz. He spray painted some of the gold and white. And I did Black and gold while Amiya did white. 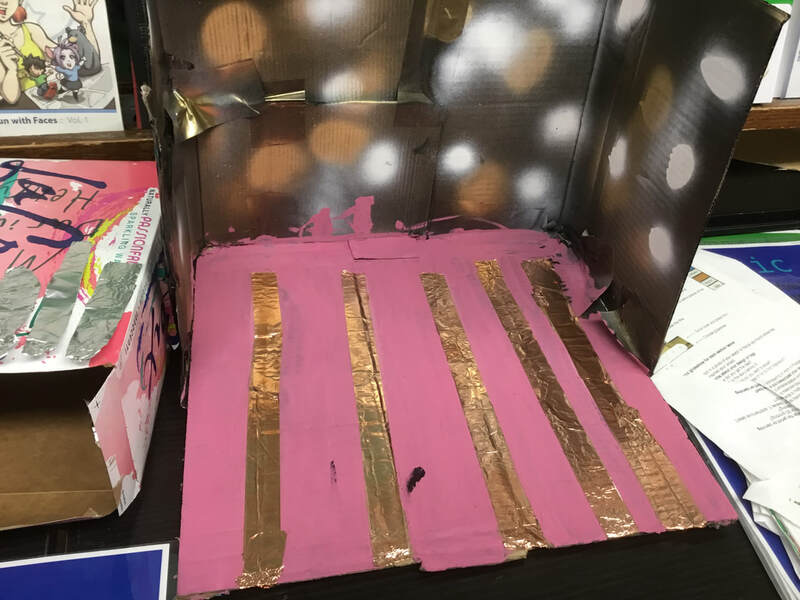 this is Amiya and Desiree's Piano Makey-Makey finsished product we stared off with paper and worled our way to the top and addes cardborad. Hope you enjoy playing as much as we loved making this for you all.